Our guest speaker was Dennis Harrah, retired offensive linesman for the Los Angeles Rams. Mr. Harrah is a Charleston native and a graduate of Stonewall Jackson High School where he played football and made first team all-state. After graduation, Harrah played football for the University of Miami. After graduation, he was selection 11th overall by the Los Angeles Rams in the 1975 draft. 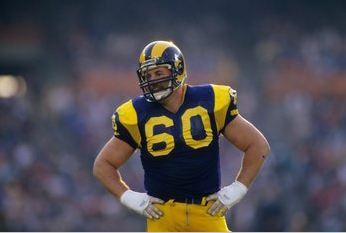 He helped the Rams win the NFC West 6 times ( 1975-79 and 1985) and the 1979 NFC Championship. He served as team captain for 6 years and played in the Pro Bowl 6 times.